One of the biggest plastic machinery importers in South America purchased several pvc granules making machine from Abelplas Machinery one month before. The machines will be arrived in the destination within few days. 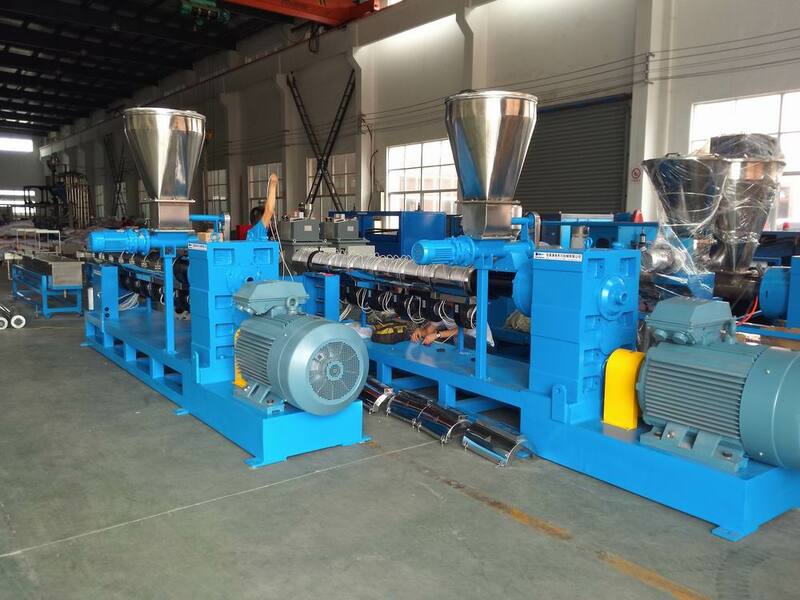 The machine is mainly for pvc scraps recycling and granulating, such pvc cable materials. It is the best-selling machine recently and also has a big market in future. Abelplas Machinery, which locate in zhangjiagang ,Jiangsu province, china, is a professional plastic pellets machinery manufacturer and has specialized in this industry for a decade. They have worked with the biggest importing company for years because of their high quality machines with competitive price, professional service and best solutions for their business partners. All the machine facilities from Abelplas Machinery adopt famous brands with CE approved, such as ABB Motor, ABB inverter, Omron Temperature control, Schneider/Siemens contactor, Siemens PLC Control etc. Abelplas Machinery always pay more attention to their technological skills improvement to help partners to reduce their cost. Finally they developed the high output pvc scraps granulating machine with lower consumption today.